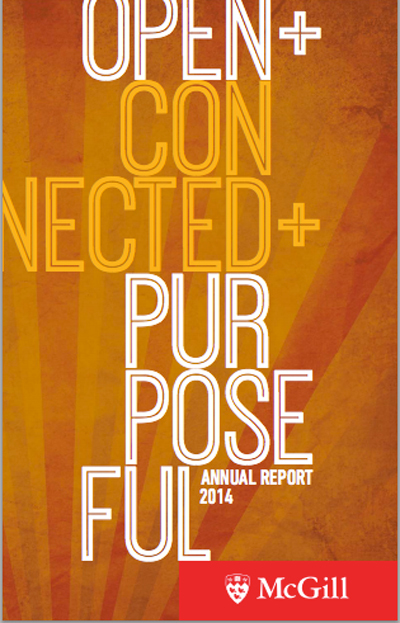 Check out McGill’s new Annual Report, which celebrates the University’s accomplishments, milestones and highlights from 2013-14. Check out McGill’s new Annual Report, which celebrates the University’s accomplishments, milestones and highlights from 2013-14. Read the Report online.